MAD Blog Awards 2015 - the one where I won! 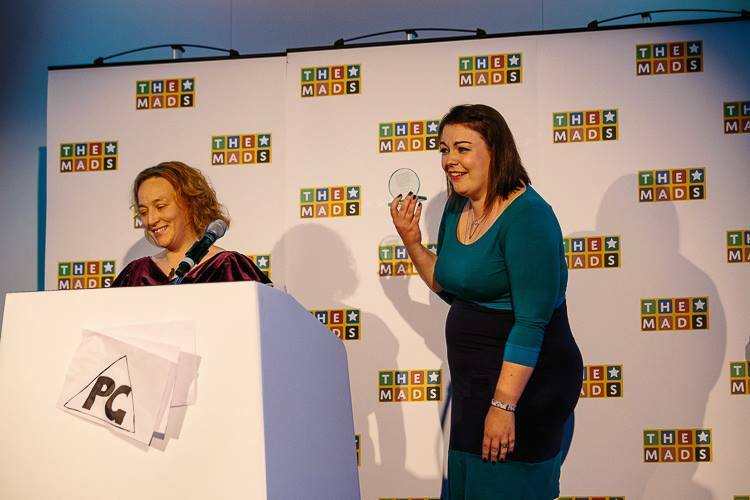 MAD Blog Awards 2015 – the one where I won! If you are a regular reader of my blog or follow my social media channels you can’t fail to have seen that last month saw the 6th annual MAD Blog Awards hosted at the super swanky Royal Garden Hotel, Kensington. I attended the awards last year to take part in a Flash Mob, this year I was there for an entirely different reason. This year I was actually a finalist! 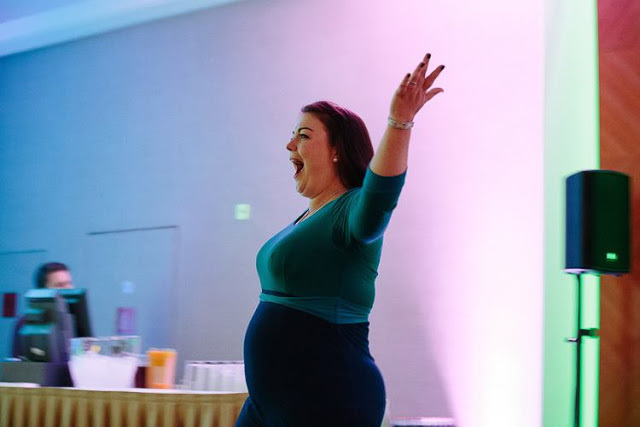 From the first moment I saw my name on the list of finalists I was sure I wouldn’t win but I was super excited to have the excuse for a jolly to London, to get dressed up and to catch up with loads of other fabulous bloggers for an evening of fun and celebrations. 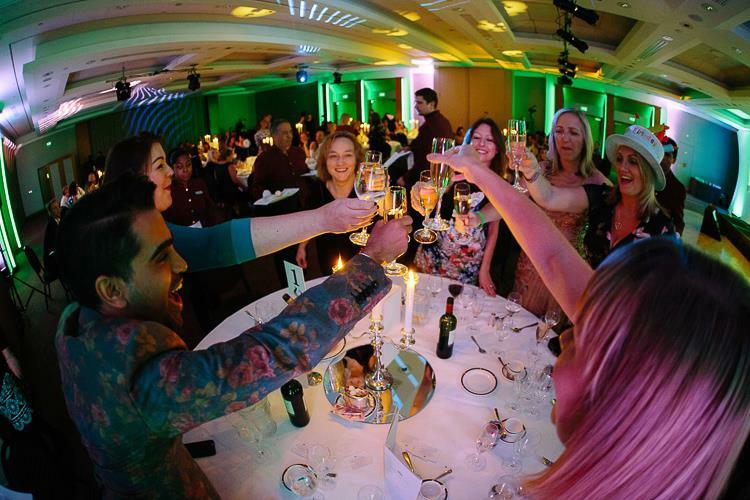 As the weekend drew closer I must admit I started to get a little nervous, not because of the awards themselves but because none of my closest friends were going to be attending this year and my plus one had had to cancel – so I was travelling and staying on my own in a nearby hotel. I probably should have planned out my underground route a little better rather than just knowing my final destination stop as that would have eased the pressure somewhat on arrival in London! Luckily there were lots of helpful people dotted around the station helping people to get on their way, with it being the first rugby match at Twickenham they were more than prepared for some heavy footfall through the stations. I was quite proud of myself when I arrived at my hotel and checked in! All ready for tonight’s #MADBlogAwards – as if I’d go without my trademark lippy! 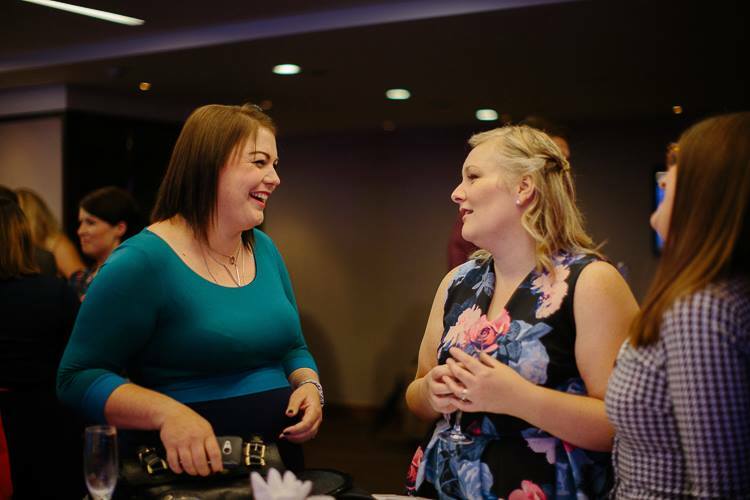 As soon as I walked through the doors of the hotel I bumped into a gaggle of bloggers heading downstairs for the awards and was soon catching up with familiar faces and meeting new ones. We had a bit of silly fun with the micro-scooter photo wall to set the evening off in the right tone . . .
And a good old catch up with Emma and Lucy before dinner . . .
Dinner itself was epic – for a number of reasons; the food was as incredible as we’ve now come to expect from The Royal Garden Hotel and the company was fab – sat with Dr Ranj, Sally, Merry, Molly, Flea, Jane and Emma it was always going to be a contender for the most raucous table! And I could leave it there – scooters, wine, food and fabulous company; a good night had by all. But that’s not the end. Of course what we were really there for was the awards themselves . 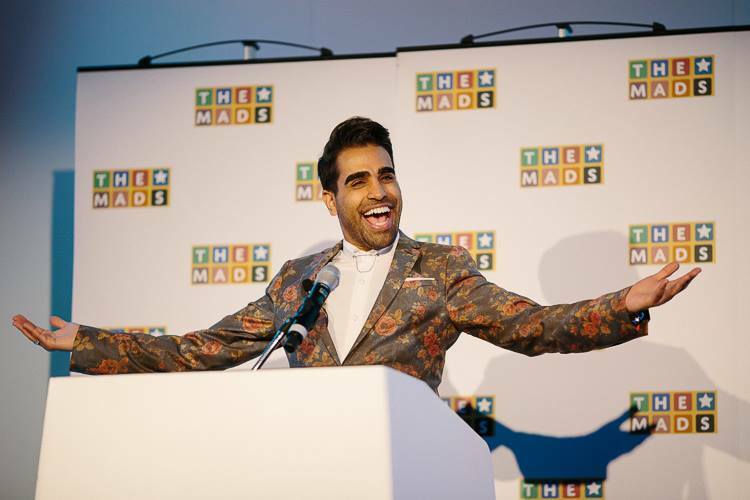 . . Welcoming Dr Ranj back as host for another year as quite possibly the drunkest children’s tv presenter you’ll ever have the pleasure of meeting. I love this man. I said to quite a few people in the run up to the even that I knew I wouldn’t win but that I just hoped people would clap and cheer when I was read out as a finalist. I got my clap and cheer, I was a happy girl. But, and it’s a big but . . . I only flipping won! 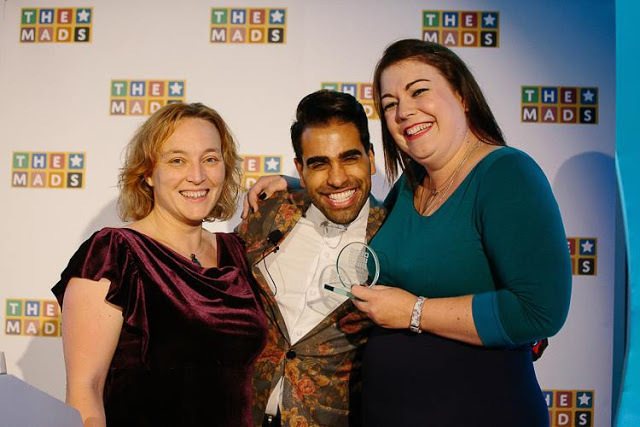 It’s almost a month ago now and I’m still not sure it feels real – I’m an award winning blogger? Best Pre School Blog. I sat for a moment in a stunned silence when Merry read my name out, before making my way onto stage to make my thank yous which went something along the lines of . 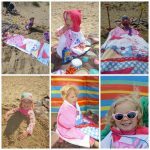 . .
Of course there are more thanks to be said – to the wonderful blogging community for their support, to the brands I work with, to all my family and friends. And, most importantly to every single person who reads, comments, shares and generally supports We’re going on an adventure and all that we do. So thanks to Sally and crew for arranging another amazing night – can I come again next year? 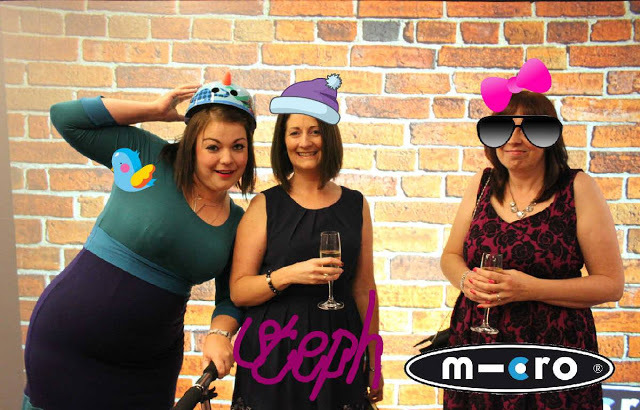 All credit to Tom Arber for his wonderful photography skills – I didn’t take a single photo all night! Huge congrats on winning, it's really well deserved, your blog is always a really good read! And you look gorgeous in all your pics too. It looks like it was a really good night!